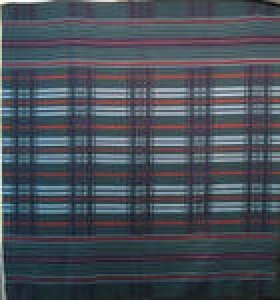 Handsome fine line plaid in bluie, green and red. Solidly woven. fantastic untouched condition suggests it was never used outside. Large enough to cover a queen or king bed. Some buyers even use them on the floor.